P198 Everyday satchel for carrying it all! Going on errands, a trip to the store, and outing with the kids?!! This big, open satchel holds everything! 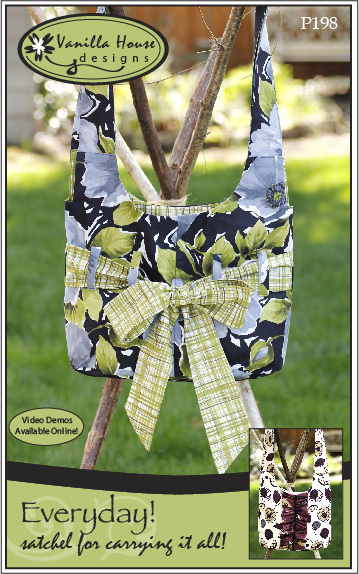 Quick to make, two adorable styles, and comfortable. This pattern includes four video helps for brief online demos. 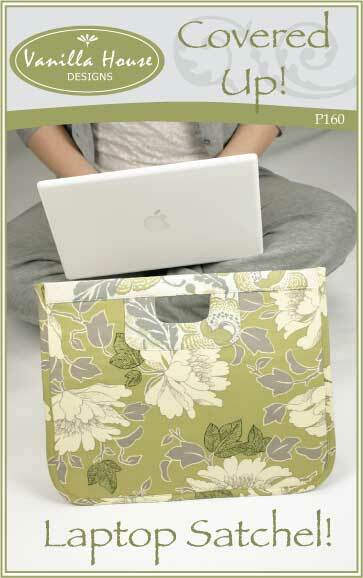 Size: the bag itself is 12 inches by 16 inches; with straps, it hangs 23 inches. This very chic laptop satchel is the only way to haul around your laptop. 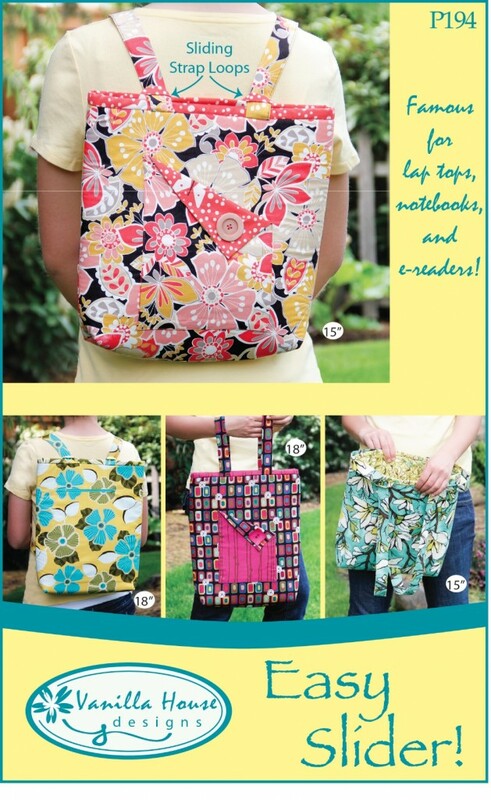 This curious flat bag also doubles for notebooks or papers for the office or class. Bag size: 14 inches by 16 inches.